What’s the Difference Between the Supermax and Secretive Political Prisons Called CMUs? I was interviewed by Scott Horton recently about the government’s proposal to make Communications Management Units permanent. 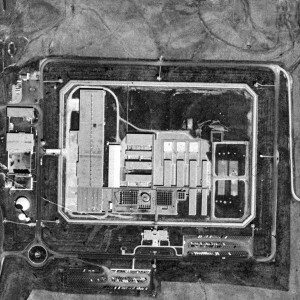 We talked about the history of the experimental units, and what separates them from ADX-Florence, the Supermax. Most importantly, the Supermax was created for the most violent prisoners, who pose a physical threat, and the CMUs were created for political prisoners who pose an ideological threat. The Bureau’s proposal makes clear that the CMUs are intended to keep political prisoners with “inspirational significance” from the public spotlight. You can listen to the interview below, and on Antiwar Radio. Will Potter, founder of the GreenIsTheNewRed blog, discusses the prison-within-a-prison Communications Management Units (CMUs) designed to silence non-violent activist prisoners, limited oversight and questionable legal authority for CMUs, the tendency of governments to criminalize dissent from the left and right and why the erosion of individual rights (even of prisoners) negatively effects the whole society.